LAWRENCE — A new genome-scale study that includes a University of Kansas anthropological geneticist has determined ancestors of present-day Native Americans arrived in the Americas as part of a single-migration wave from Siberia no earlier than 23,000 years ago. Later migrations of Aleuts and Eskimos occurred approximately 9,000 and 4,000 years ago. Crawford is a co-author on the study, and the journal Science has published its results online. The Center for GeoGenetics at the University of Copenhagen headed the international research team, which included co-authors Eske Willerslev, a Lundbeck Foundation professor at the center in Copenhagen; Maanasa Raghavan, a postdoctoral researcher at the center; Yun Song, a professor of electrical engineering and computer science, statistics and integrative biology at University of California, Berkeley; and David Meltzer, an anthropology professor at Southern Methodist University, among others. 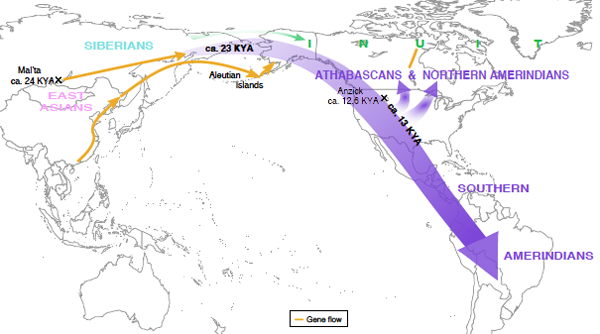 To more accurately pinpoint the account of how and when modern humans populated the Americas from Siberia, the team generated genomic data from several present-day and past Native American and Siberian populations. This included an analysis of the DNA of the fossil known as Kennewick Man, found along the Columbia River in Washington State in 1996. 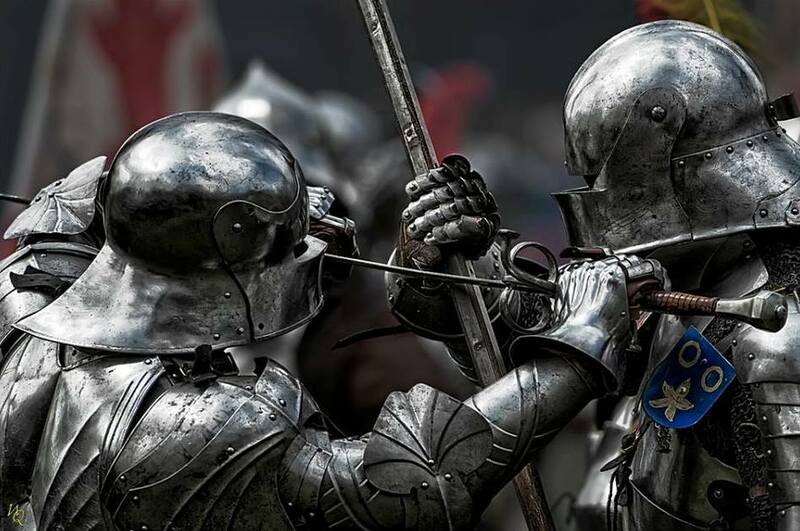 European knights of the 15th century. The heavy cavalry of the Conquistadores belonged to this type. The native Central and South American warriors could do very little against these armoured and mounted war machines. 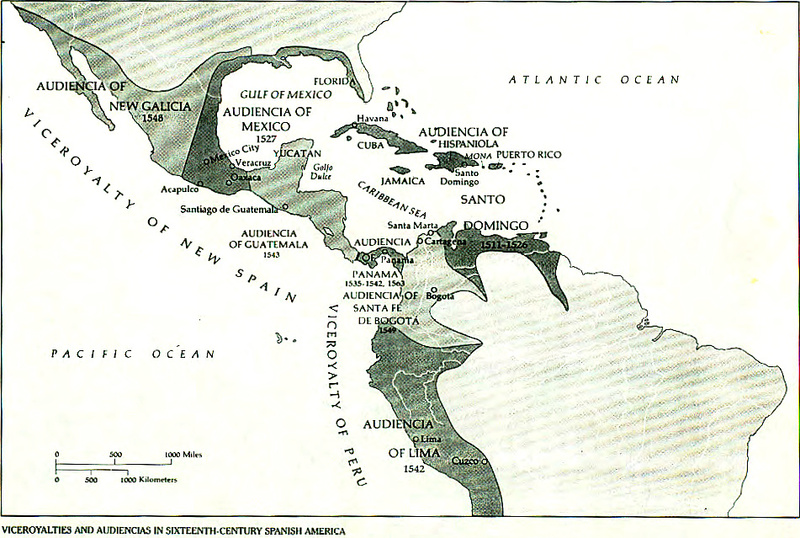 In the 16th and 17th centuries, the initial Spanish colonies in the Americas were divided administratively in two viceroyalties: the Viceroyalty of New Spain, comprising the Caribbean, Mesoamerican, North American and Pacific colonies of Spain, and the Viceroyalty of Peru comprising her South American colonies. Each Viceroyalty was divided in audiencias. The audiencia was a high court of justice exercising judicial, political and military power in the Spanish colonies. The Viceroyalty of New Spain was divided in the audiencias of Nueva Galicia (modern NW Mexico and SW USA), Mexico (modern Central Mexico and the Caribbean coast of the US), Guatemala (Chiapas, Yucatan and modern Central America), Hispaniola (Cuba and Florida) and Santo Domingo (Haiti/Santo Domingo, Puerto Rico and all the lesser islands of the Caribbean, plus “Little Venice” i.e. modern Venezuela). The Viceroyalty of New Spain included also the Philippines and all the other Spanish islands of the Pacific.